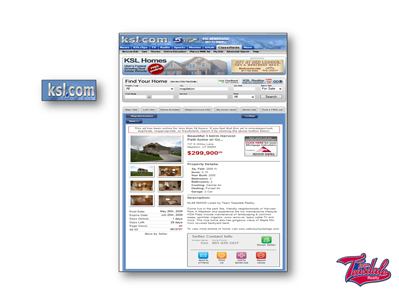 Our Team is dedicated to marketing your home on more websites than any other brokerage in Utah County, period. 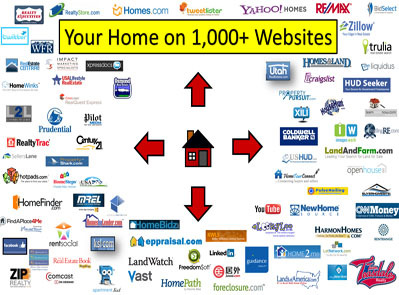 The MLS will propagate your home to several hundred websites. Additionally, Team Teasdale Realty hires a third party to put your home on about 800 more websites. The self automation and payment to a third party is easy. The hardest part is when we manually publish ads about your listing to several key websites that get quality buyer leads. We publish your home on two of the several blogs sites we own. We don't know of any other Real Estate company in Utah that does more online SEO or SMO marketing than Team Teasdale Realty. If you want the best Utah Real Estate Advertising contact Team Teasdale Realty. Believe it or not Craigslist does get decent buyer traffic on homes in Utah County. My job is to get your home marketed on as many quality sites as possible. 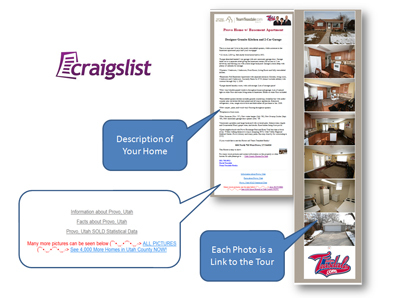 We break the typical Craigslist ad by writing our own HTML code and publishing a very original Craigslist ad about your home. Our ads get more traffic than the average home on Craigslist. We connect several links about the city, write a description about your home, and upload seven photos that link directly to your virtual tour. This is the kind of marketing we do. It takes time and dedication to sell your home. The best part is that our marketing works and helps sell your home faster. Craigslist is a good source of Utah Real Estate Advertising. Yes, I realize anyone can make a KSL ad about a Utah County home. It is a good place to post a home for sale. One must manually upload an ad and pictures. We keep your home posted and updated on KSL dot com. I think the odds of a buyer actually finding your home on KSL dot com and buying it is about 5%. That is not a very large statistical probability but good enough to place an ad. All the ads we publish about your home are done by our Team. Our Team consists of all Realtors and no staff. We all work on different segments of your internet marketing package. It requires a ton of work and dedication. Do you want the best real estate advertising for your home?